Digital currencies. Speculators surrender, but now the innovations come. It was December 17 last year. Bitcoin snatched $ 20,000 after a formidable increase of 2,000% from the start of the year. Bitcoin was going to change the world, and everyone was busy planning which color their new Lamborghini would have. The Christmas atmosphere was to touch and feel. Nine months later, Bitcoin has broken back to $ 6400, down 70%. For other digital currencies such as Ethereum, Ripple and Bitcoin Cash, prices have dropped between 80 and 90%. People on Reddit have slowly started to reduce their expectations and started to lift the white flag. Bitcoin will crash to 0! Said economist Nouriel Roubini, better known as Dr. Doom on twitter. A total collapse of Bitcoin is a real possibility. Believes Nobel Prize winner in economics Paul Krugman. So is that so? Is Bitcoin just a dying fad? No. On the contrary. It is now it begins. Despite its fragile reputation, speculators have an essential role in the economy. Through the price signal, they give a clear direction to entrepreneurs and founders who dream of building the next big thing. Nothing gives a stronger message of where to see, than the biggest bubble in history. But innovation and infrastructure take a long time to build, at least for a speculator who should have had a Lamborghini yesterday. 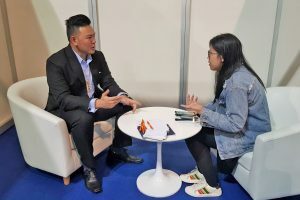 For now, as speculators have left the ship, it is filled up with entrepreneurs, businesses and large banks exploring opportunities and applications. That’s when the price is low and the speculators lick their wounds that the results start to come. An area the traditional banking system is unlikely to handle is microtransactions such as to tip others online. If you read an article you liked, then you might want to give something back to the author. The option you often have is that you must become a subscriber. This makes the threshold too high in most cases since you have to tie up, the subscription price is too stiff, or the registration error enters. It will be even less applicable, if the author is in another country with another currency. The consequence is that you drop it while an unsuspecting author misses a small thank you. And for him, many small thanks can make a small income. Here comes digital currencies to the rescue. On forums like Reddit, Twitter and Telegram, many solutions and “bots” have been developed that people can use to send each other cryptocurrencies with a few keystrokes. One of the most popular is a bot made for Bitcoin Cash named “tippr”. 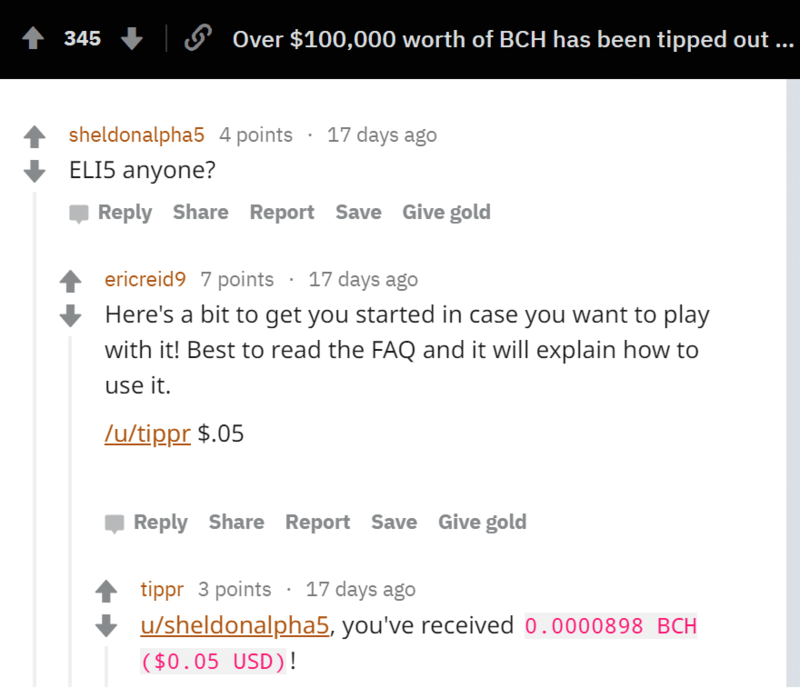 On the screenshot above, “ericreid9” users tip “shedonalpha5” $ 0.05 in Bitcoin Cash (BCH) on Reddit with a simple command. tippr responds to the command and passes the tips to the user. As long as you have internet, anyone can get tips anywhere since it is linked to your user on Reddit (or Twitter, Telegram, etc.). The tips can be sent anywhere, anytime and to anyone. Not only does the culture of digital currencies become popular, but it has also paved the way for new ways to help people in need. When José from Venezuela received his first tip in Bitcoin Cash, he got the idea of setting up a Twitter account to accept donations. By documenting their fieldwork, it did not take long before donations began to flow. 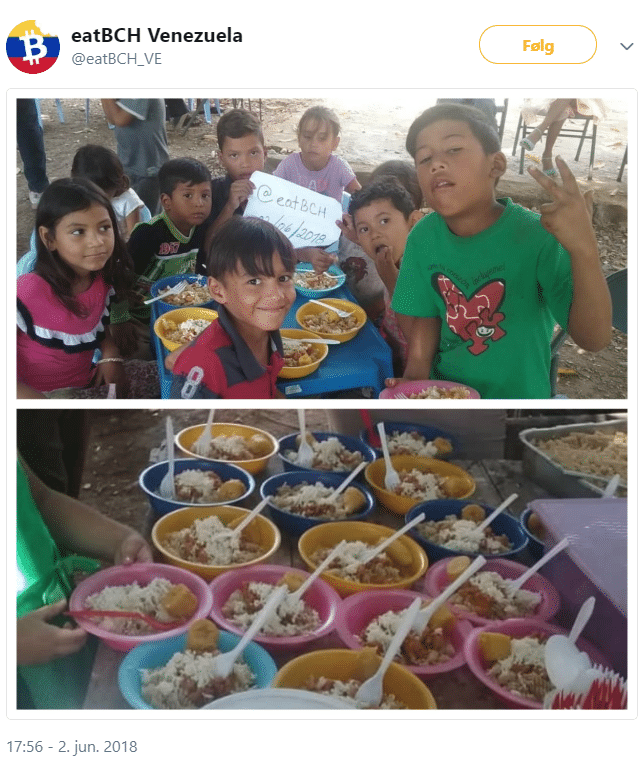 In a short space of time, he built a comprehensive relief organization locally in Venezuela, funded with tips and donations directly from users on Twitter and Reddit. Pretty impressive for a country where neither the state nor the banking system works. 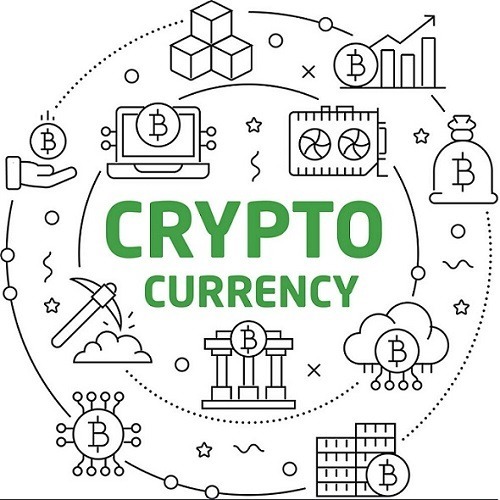 Create your own money button to receive payments and tips in cryptocurrency. 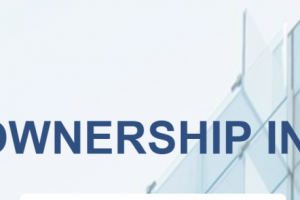 The possibilities of “internet money” have also begun taking commercial forms. Moneybutton has developed a “money button” that anyone can integrate on their own website. By defining some parameters, you design the button the way you want it and copy the code into its side. For those who like to shop at Amazon, there is Purse, a marketplace built around Amazon where you can get between 15-30% off everything you buy if you pay with Bitcoin or Bitcoin Cash. Pay with Bitcoin and get 15-30% off what you buy from Amazon via Purse. Do not be surprised if you will see more companies that add options to pay with digital currencies in the future. Infrastructure and innovations are on its way! HODL on strong!